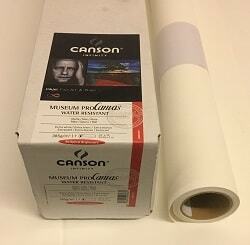 Canson Infinity canvas paper rolls are manufactured by the worlds leading Fine Art Paper Mill, Canson. Canson Inifinity is renowned worldwide for manufacturing the finest art papers, thanks to nearly half a millennium of experience. Developed to exceed museum standards, the Canson Infinity premium inkjet range offers an exceptional beauty and character to create black and white and colour photographs as well as fine art reproductions. Using the purest natural materials without chemical substances that contribute to premature deterioration, Canson Infinity brings the beauty of fine art and traditional photography to the world of digital printing. 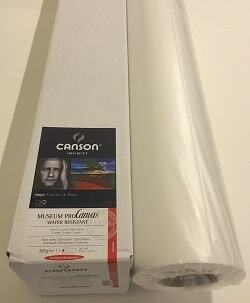 Canson Infinity is the ultimate choice of digital printmakers and artists today.